Wedding planner update was approved by Apple. Wedding Planner 1.1.0 has been approved by Apple review team. Correction of the storage of the contacts. Correction of the storage of the logs. Correction of the loading process of the contacts. Correction of the loading process of the logs. Correction of the save process during a poweroff. Correction of the save process during a sleep. 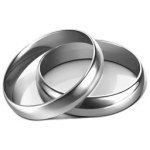 Wedding Planner 1.1.0 is available in the Mac App Store.